We empower men to transform their lives so that they can succeed personally and professionally. 81% of former inmates end up back behind bars. Together, we can break the cycle. 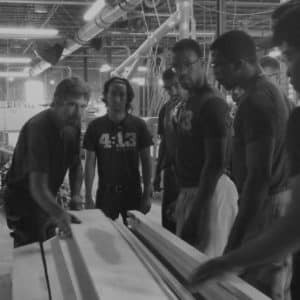 4:13 Strong provides training, skills and job placement for at-risk men. 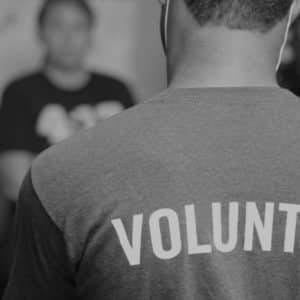 Our intensive, residential program gives men a lifeline to make lasting change, because every man deserves a chance to reach their potential. Losing his mother to violence at seven, Cedric fled to the streets of New Orleans looking for answers. He found himself in a cell at the age of 10 wondering where God was and why this was happening. After being released at 17, he searched for belonging in a gang. One day, it was time for a change. 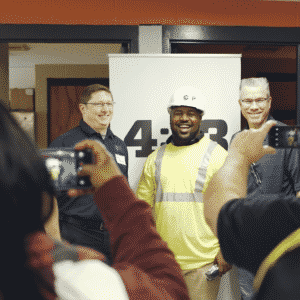 See how he found hope at 4:13 Strong. 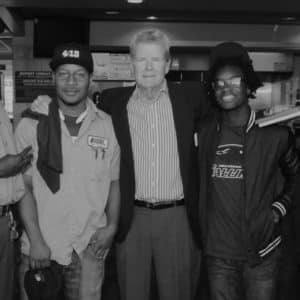 Each Friday we invite a man from the community to join us for lunch and share their story. It doesn’t matter who you are or what you do, you have a story that is worth sharing. 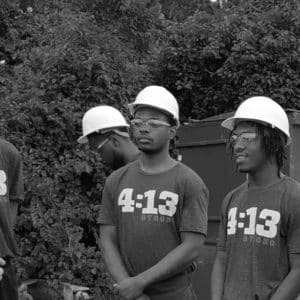 The 4:13 Strong guys are interested in hearing about how other men make money, what other men struggle with, and what they do for fun. We provide the lunch, so all you need to do is show up and share.